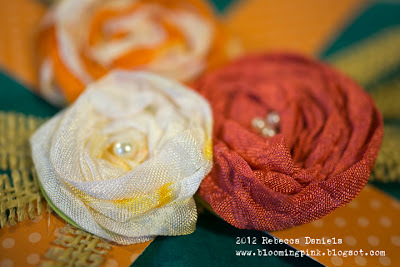 Just thought I would share another project I made using some of the wonderful ribbon available from 3GirlJam! 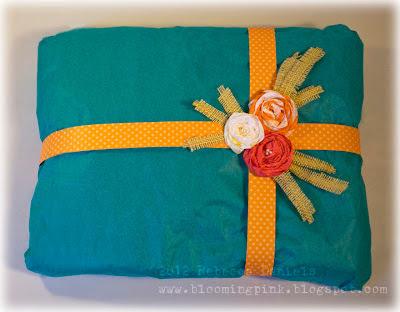 I really had fun decorating this little package...and it's not even for a birthday! I have this thing...even if I make something pretty...it just feels SO MUCH MORE SPECIAL if it's in a nice package! Don't you think? I used several different Crinkle Ribbons and the all NEW Burlap Trim! Here's a list (and links) to the ribbons if you are curious and want to make one too! 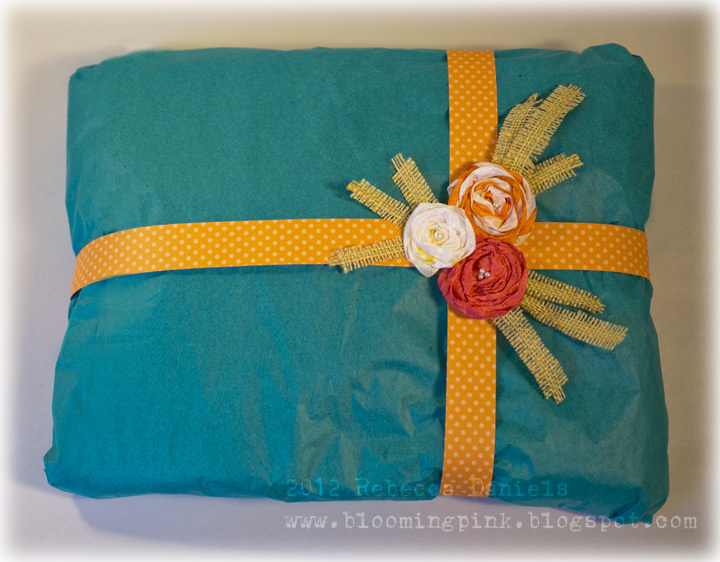 If you are visiting from the 3Girl Jam blog, you came here to see what's inside the package, yes? I know you are wondering what's inside. 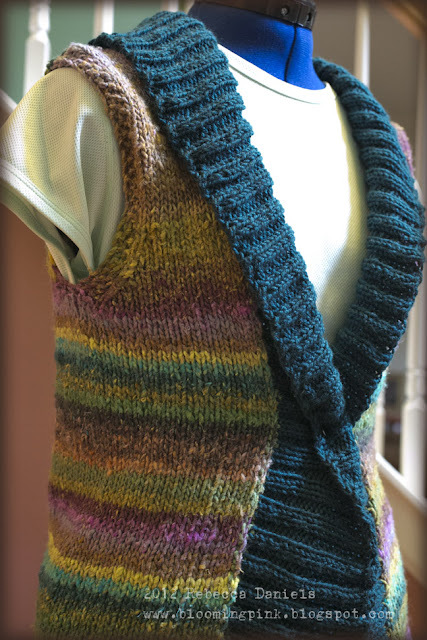 I created this sweater when I was on vacation a few weeks ago visiting my daughter in Seattle. I was working on the same design, but using a hand dyed brown wool, and she really loved it. I talked her into trying something with more color and went and picked out the colors at a yarn store near her grandfather's. I started it while visiting her grandfather. It wasn't quite finished when I left to come back home. And it's on it's way to her now. I just know she'll be surprised about the packaging, but I hope she is even more thrilled about how the sweater turned out. Anyway, it was just as much fun to package up and send as it was to make. Thanks for stopping by and have yourself a great weekend! OMG...this is FABULOUS! I love the way you used the burlap and the flowers are BEAUTIFUL! Wow this is such a fantastic way to package such a beautiful gift! Love what you did with the burlap and I am always in love with your flowers!! Rebecca, that sweater is DIVINE! I adore your fabby crinkle ribbon flowers on the fun package. Great use of the burlap, too. Girly Girl and Her Little Mate!